Whether it is mechanics operating on a car, a pilot flying an airplane, or a painting crew transforming a home, trained experience helps ensure a quality product and a great customer experience. At Fresh Coat, we have over 130 years of experience between our foremen and crew members. Despite what many think, painting and the associated preparation work changes greatly from project to project. In fact, it is a rare occasion when the exact same preparation work, materials used, and job sequence line-up to be just like a project recently completed. 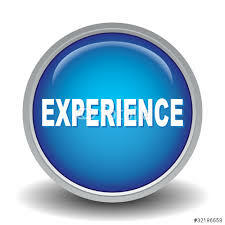 It is common difference between projects where experience is a true asset. If our customer has intentions to refinish kitchen cabinets, match a stained finish, provide a clean and elegant interior finish, or refinish a worn exterior, we have the experience to do it... Correctly! Our foreman and crew members are our largest asset. We only hire experienced painters that have a personal passion for what they do. It is the desire to to the "right thing" that out-weighs all other personality traits. This means that we paint and refinish surfaces for our customers as if we were working on our own homes. Although rare, mistakes happen in all areas of life, including in construction work and painting. It is how a company and individuals react to the mistake that makes a difference. Our passion (a.k.a integrity) is where we prove to ourselves that we are different than most contractors. We will never skip preparation steps, try to cover-up a mistake, or try to maintain our bottom-line by shorting our customers. This is spoken about internally, but carried-out through our employees because of their passion for what they do!